Lemon juice and zest add a tasty bright note to ricotta cheese. 1. 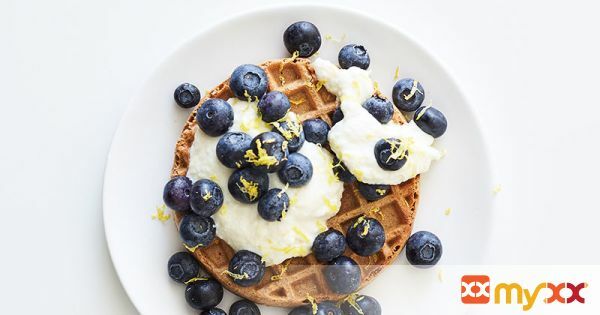 Combine ricotta, sugar, lemon zest and juice in small cup; spread over or dollop onto waffle. Top with blueberries.